Longwood Thoroughbred Farm, formally Fulman Park, in Longwood East is the next exciting stage for new owners Michael Christian and his wife Siobhan Miller in their breeding and racing journey. “We purchased the 230-acre property quite by chance, as Siobhan, my brother Brad and his wife Pauline and I were heading up to Lindsay Park one morning last spring to watch Fuhryk’s track work. The GPS took us along Longwood-Ruffy Road, and we noticed that Fulman Park was for sale,” Christian said. Christian has focused on building families around key mares, he has raced or purchased including, Runaway Jesse, the dam of six time stakes winner Eloping (winner of $1.23m), dual 2yo stakes winner, Of The Brave and four time stakes runner up, Jesse’s Girl, Alisa Free, the dam of Group 2 winner, Unpretentious, Bella Inez, the dam of Group 2 winner and multiple Group 1 placed, Hallowell Belle and Group 3 winner, Fuddle Dee Duddle, and Group 2 winner Oasis Bloom who has produced the very talented two-year-old Invincible Lotus. While their dual Group 3 winning mare, Fuhryk is also heading to the paddocks of Longwood this season. 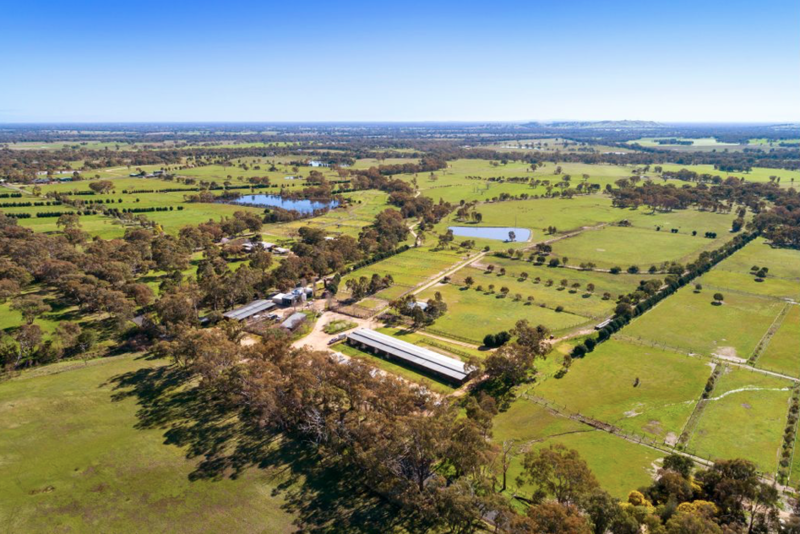 Located in the heart of Victoria’s thoroughbred breeding region, between Seymour and Euroa, Christian has retained the long and loyal clients of Fulman Park as well as the management team already in place. While his wife, Siobhan will expertly handle all the Farm’s marketing, social media and communications keeping everyone up to date and informed on the property’s happenings. A premiership footballer with Collingwood and Chartered Accountant, Christian remains involved with the AFL, along with Sirecam, his multimedia production company. Longwood Thoroughbred Farm will be providing a complete breeding service, including walking out mares to the local studs, weanling, yearling preparation and foaling down. The property also boasts 24 fantastic individual spelling paddocks for racehorses, which gives the property two-revenue streams – spelling and breeding. Along with the managers in place, local specialist Equine reproductive vet, Stacy McGregor from Seven Creeks Equine will handle all the farms day to day reproductive veterinary work. “Stacy does a brilliant job and is only a couple of minutes down the road. It’s a real endorsement to the property and staff that she foals down her own mares and her client’s mares here,” Christian said. A late starter in the world of horses, Christian has slowly increased his interests in the thoroughbred industry.